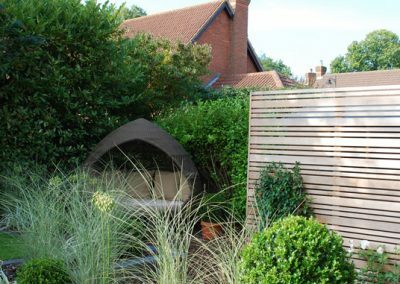 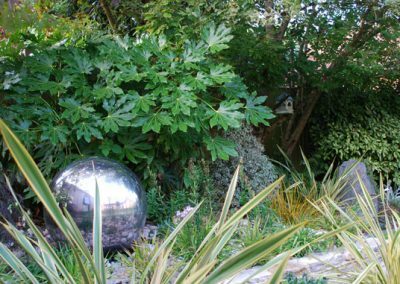 The brief here was to transform a standard development garden into a simple modern entertaining space. 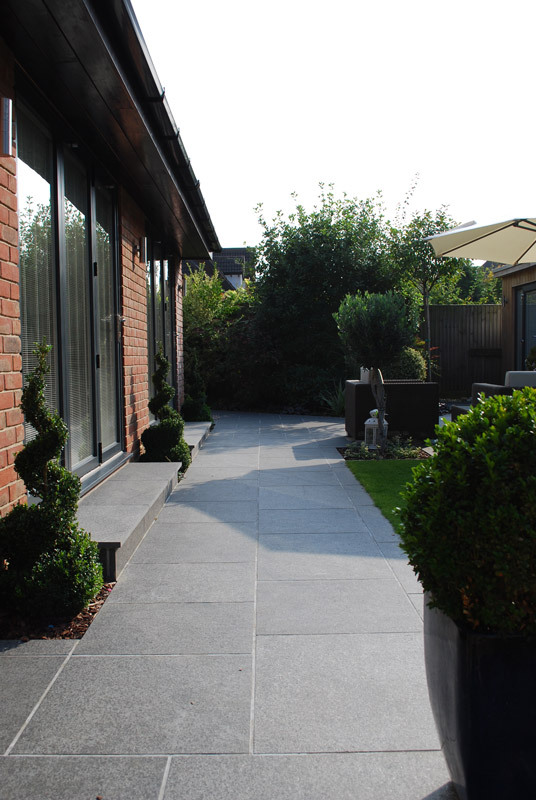 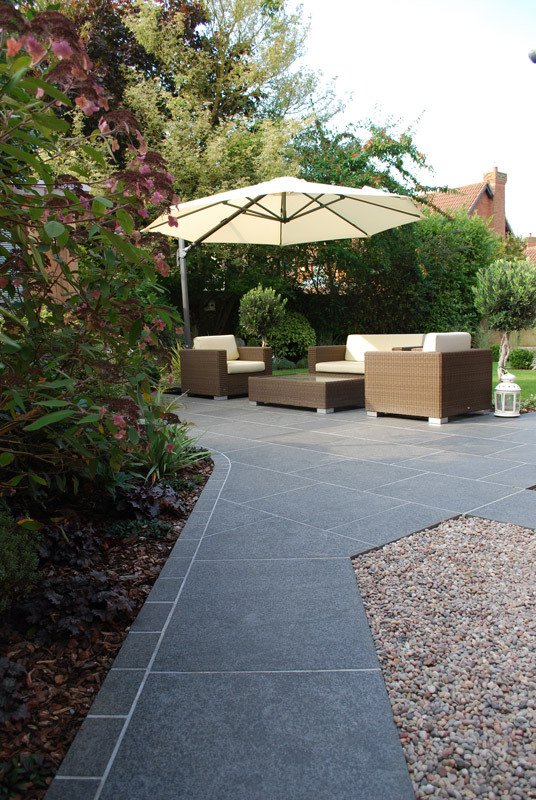 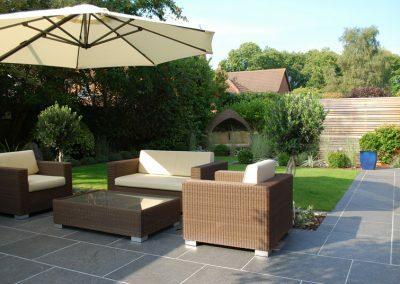 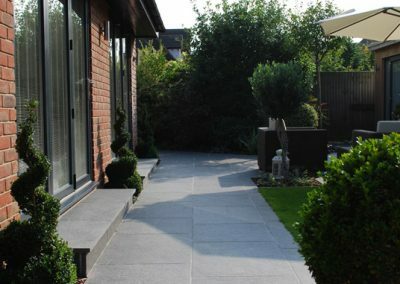 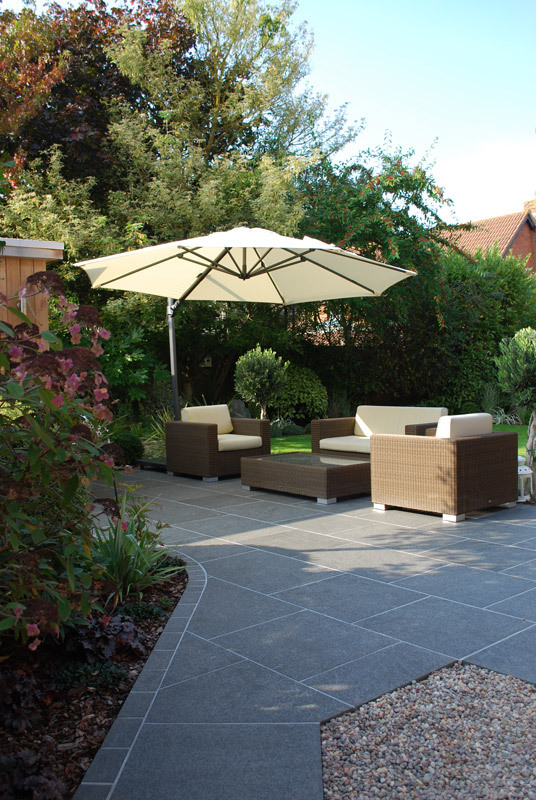 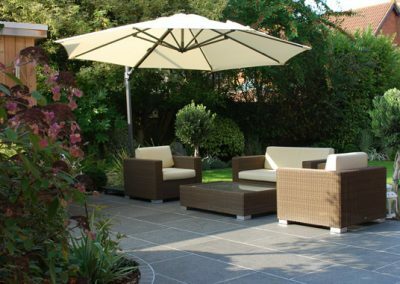 Large Black Basalt sawn paving slabs were used to create paths as well as an area for a Rattan sofa set. 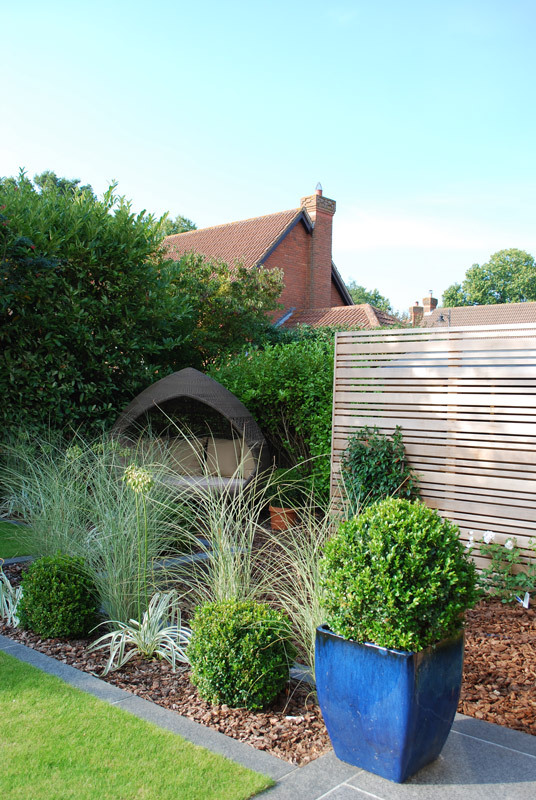 An outside Cedar office was installed for when the client worked from home. 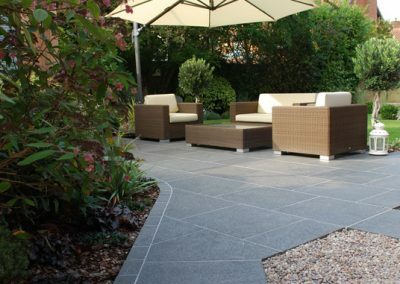 Scottish pebbles were used to break up elements of the paving and a sunken chill out area was design for an ‘Alexander Rose Relax Hut’. 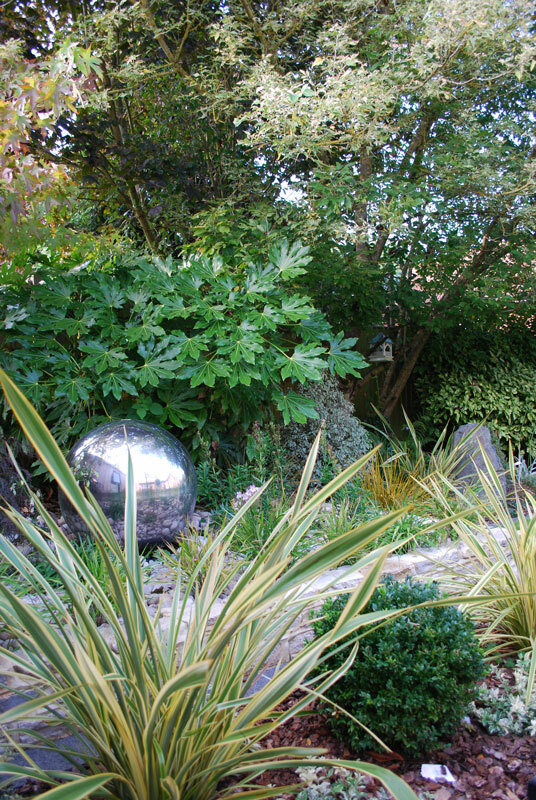 Cedar screening was designed and implemented to hide the clients shed and a Ragstone wall retained a change of level where a 700mm Stainless Steel sphere water feature was positioned within a Scottish cobble mulch and interspersed planting.